One of the freshest and stylistically most authentic No Depression/alt.country bands on the scene right now comes to us straight from… no, not Austin, Minneapolis, Portland, Raleigh, or Louisville… but from Edinburgh! Following their latest headline tour of mainland Europe, tonight’s show celebrates the west coast launch of ‘The End Of The Golden Age’, the third album by Edinburgh-based band The Wynntown Marshals. This, the band’s second release on Blue Rose Records, is the follow-up to the critically acclaimed LPs ‘The Long Haul’ (2013) and ‘Westerner’ (2009). Over recent years, The Marshals have acquired an excellent reputation as a live band, having toured the UK as headliners in their own right, as well as sharing the stage with the likes of Marty Stuart, and Fallen Angels Club favourites like Chuck Prophet, Tift Merritt, Richmond Fontaine, John Murry, Sturgill Simpson, and Jason & The Scorchers. 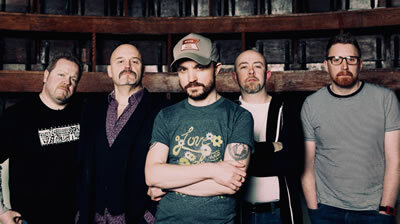 In addition, the band has recorded radio sessions for BBC Radio Scotland and BBC Radio 2, garnering the support of the legendary ‘Whispering’ Bob Harris in the process.